It's been another tough week for me and you can bet that I'm glad it's Friday! Are you planning anything fun for the weekend? LO has a fever so I'll probably be caring for her until she's back to her precocious self. 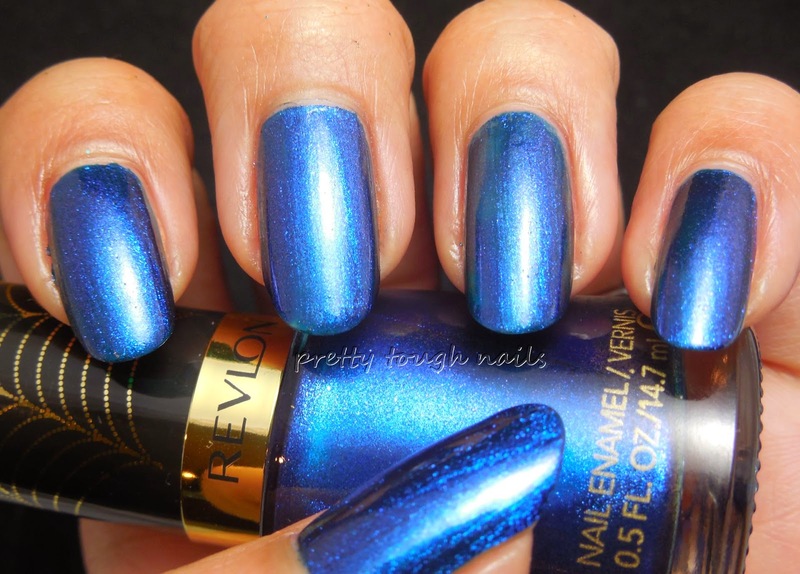 There's a new Spiderman movie coming out soon and in anticipation, Revlon has released a new collection called the Electric Chromes which feature vibrant jewel tone chromes with a duochrome finish. 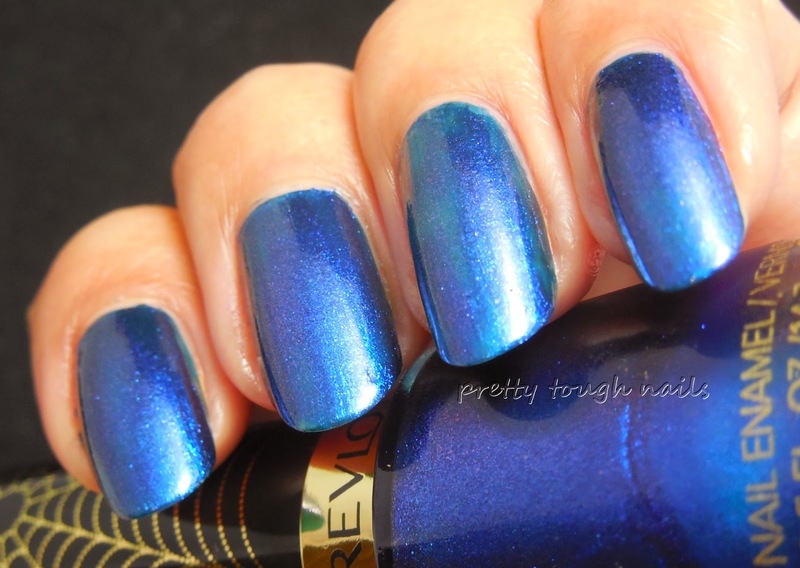 One of the stand outs in this collection is Super-Powered, a stunning cobalt blue chrome embedded with metallic purple shimmer that creates a gorgeous purple flash. 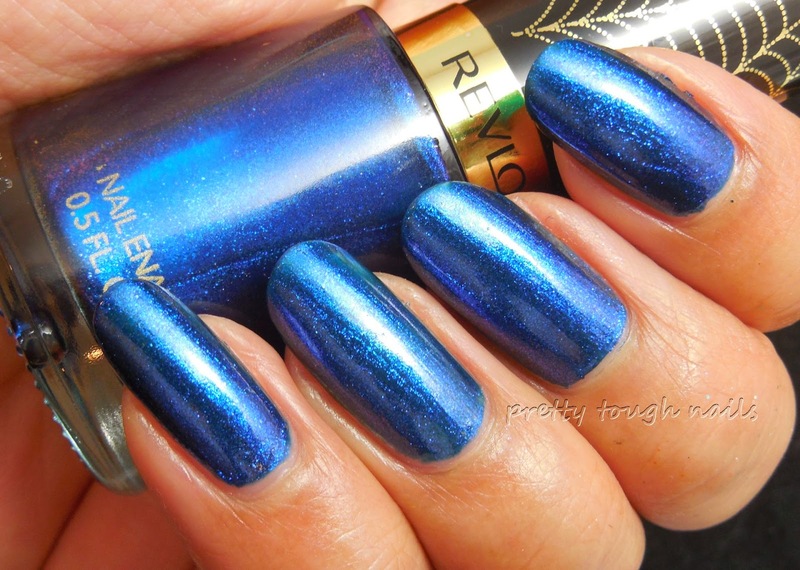 The formula is impeccable Revlon, and flows evenly and smoothly along the nail without any puddling or balding. 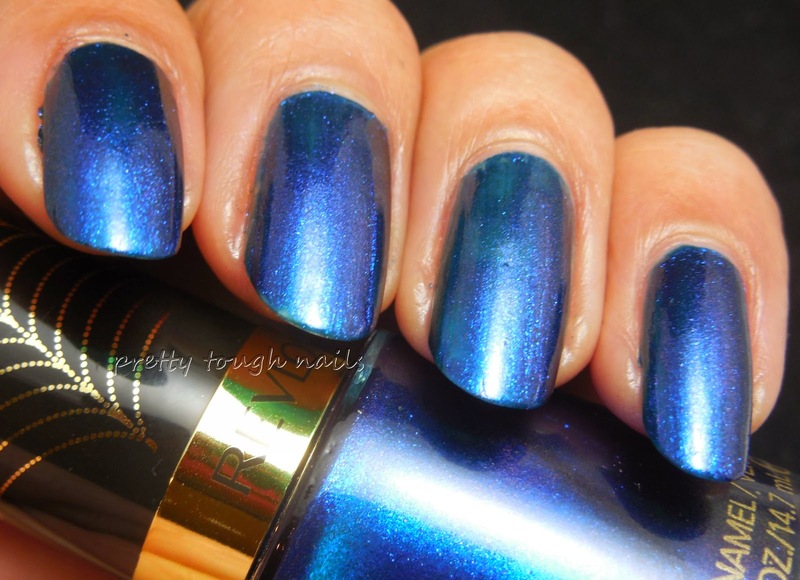 I used two coats here with no topcoat. 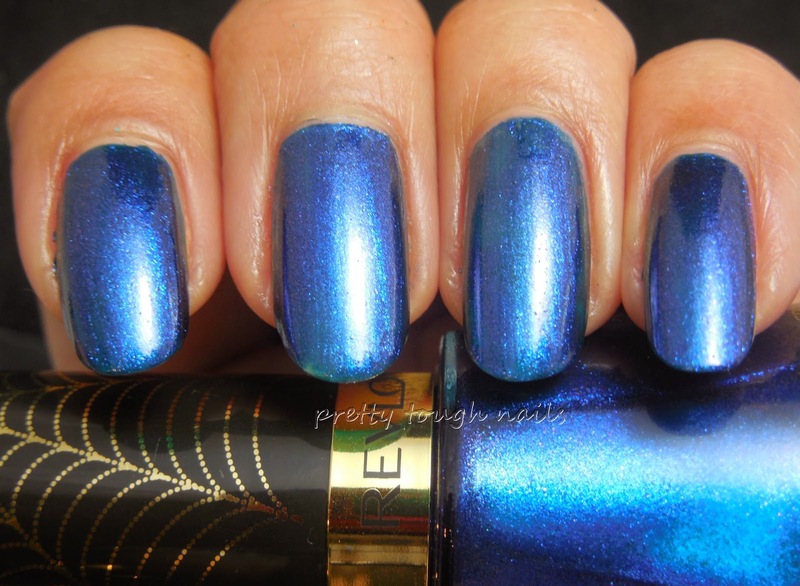 Super-Powered is one of those polishes that has infinite movement and glow with its incredible foil shimmering effect. The flash of purple is near impossible to capture on camera, but it's easily visible in most light, especially in low light. This is amazingly reminiscent of Spiderman's iconic hi-tech blue bodysuit. I was compelled to attempt some free hand nail art and used silver polish to add some spider webs. Seems like I still have a ways to go to perfect that technique! Gosh, I really miss going to the movies! I have been to one in ages, and probably won't for another couple years. It's hard to leave LO at home to go and enjoy a movie, despite family always offering to watch her. One of these days I'll get over it, I'm sure. Have you seen any good movies lately? This is very pretty! I really like how vibrant and intense it is. 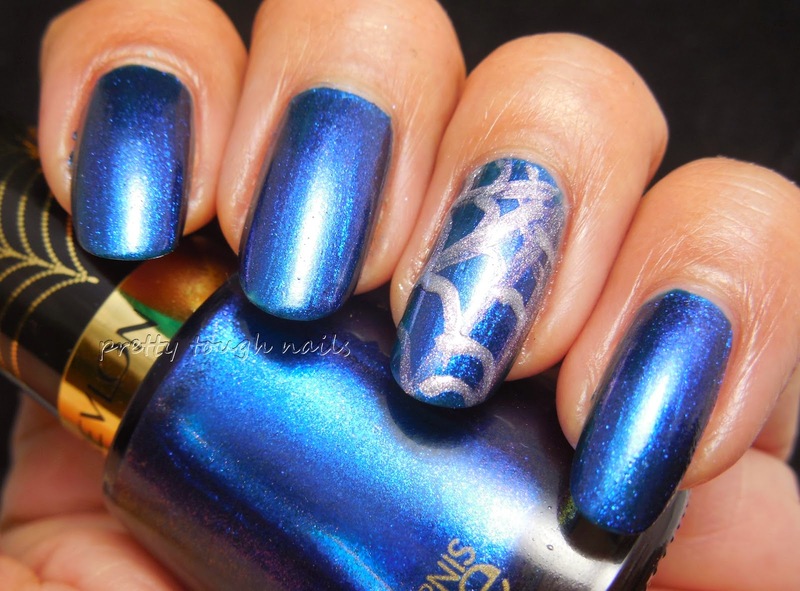 I love the nail art too! I'm actually going to see the new Spiderman movie tomorrow with my niece. I love this color. I actually bought it first, but then after getting the orange one Electrified Web, I have it on and have it on and still haven't tried this blue one. I love the shimmer in these. I ended up getting the whole collection since they were all sooo pretty!